What is the keyboardAccessory bar? 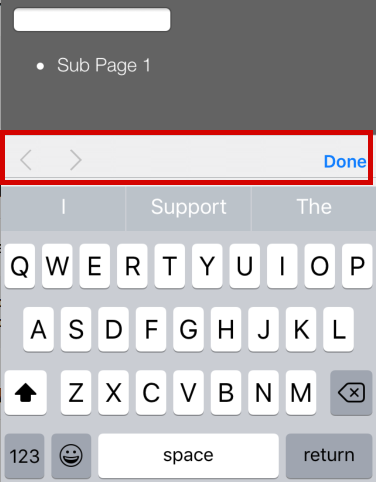 As the image below, when user focus on an input in a webview, the keyboard will be launched with a keyboardAccessory bar. User can click “Done” to hide the keyboard. Sometime we don’t want it appears, we can also remove it in our codes. But in Xamarin.iOS, we can just use these codes. It is simple and easily to use. Forget ToolbarItem you don’t need it any more. Xamarin.Forms working within Android low resolution devices. How to change the navigation page back icon?